So we started to paint, actually my handy guy started to paint. Now I have to say that I did give using the HomeRight Paint Sprayer a go but in all honestly "Bob" did paint the garage! Why you might ask didn't I paint, prior to the painting in the garage I had recovered from frozen shoulder and after suffering with that for some 18+ months I don't do anything much that can aggravate it! 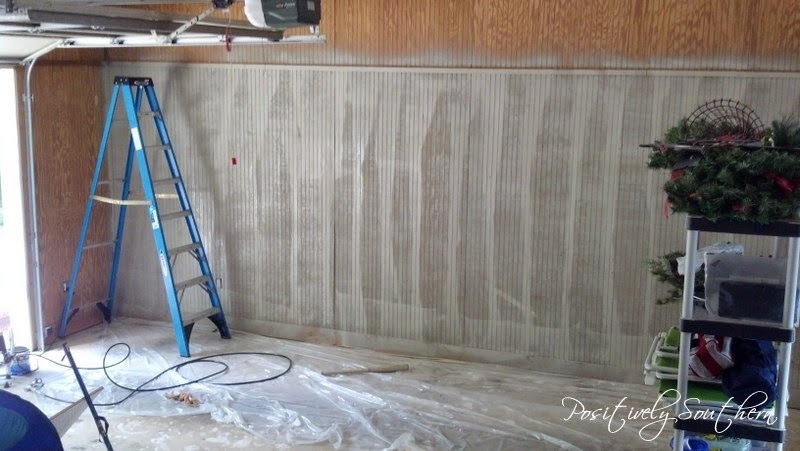 This was the first wall after the first coat. As it turns out it took in total about 3 coats of paint to get the right coverage. First was a base coat and the 2 additional coats of the actual color. 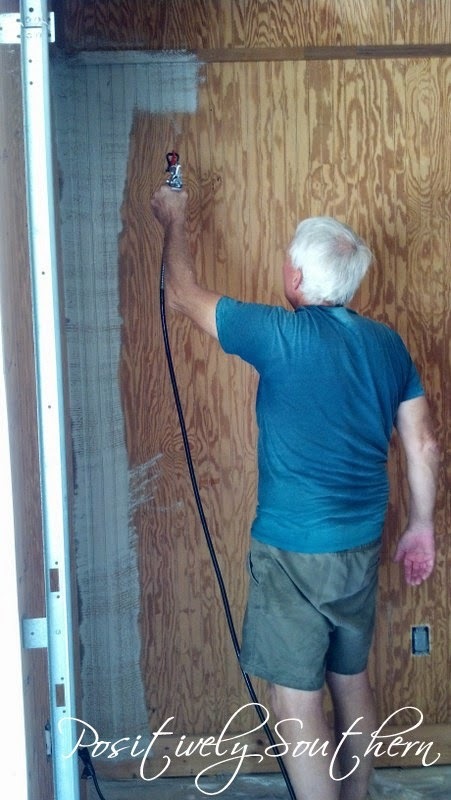 Bob found the HomeRight sprayer to be very easy to use, once he got the hang of it. He went on to say that it absolutely cut the time to the entire project. One thing that I surely didn't think about was the cleaning of the sprayer after each use. It does take some time to get everything washed out but really isn't that to be expected?! 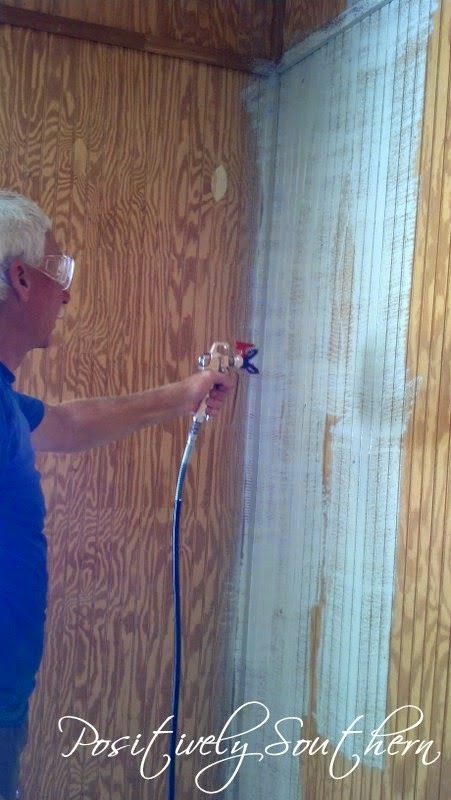 Should you ever have a need for a paint sprayer consider HomeRight. I can sing the praises of HomeRight all day long! As I stated earlier, we started out with Kilz and to be ever so honest, by the end of it we were using an assortment of left over paints from previous projects. Most of those colors were white or at the very least light colors. The upside of having tinted that first bucket of Kilz showed me that the Revere Pewter was simply too dark. So back to Benjamin Moore I went and came home with Wickham Gray. It turned out to be an ideal color, as it is a light shade of gray. We continue to enjoy the brightness that the new paint has brought to our garage! What an improvement don't you agree?! It looks beautiful to me!! Your two furry friends seem to think it is great! 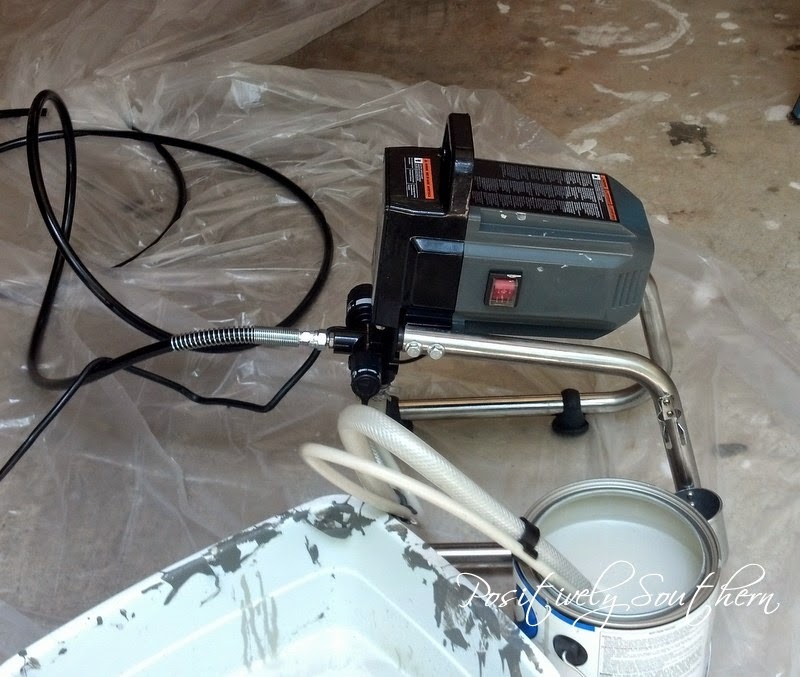 Paint sprayers are wonderful tools to have. We used ours to paint the outside trim...it was such a time saver, and did a great job!